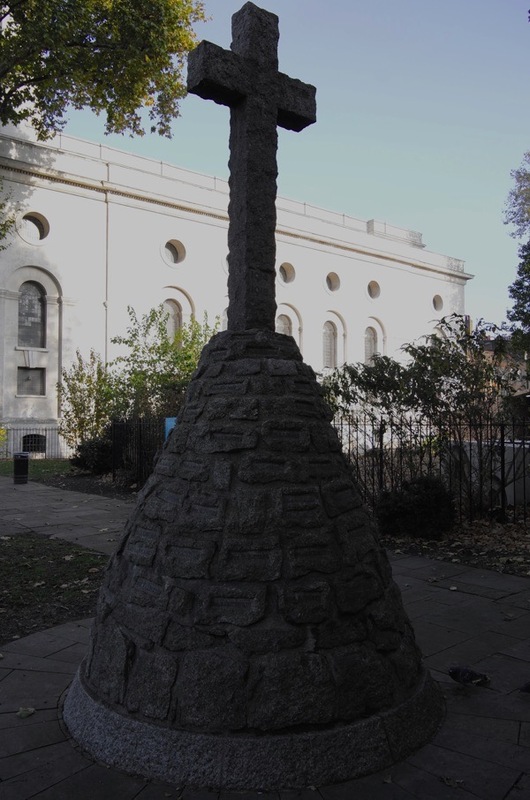 On Armistice Sunday, we remember the eighty-three men whose names are commemorated upon the war memorial in the churchyard at Christ Church. For months, Vicky Stewart has been researching the lives of these people, uncovering biographical material where possible, while designer Adam Tuck has created maps which show where they lived in Spitalfields and the vicinity. 1. DAVID FREEMAN, Air Mechanic 3rd class. Service No 55241, Royal Flying Corps. Died 29 May 1917, aged 37. Panel P.1.17 Plashet Jewish Cemetery. David was born in 1880 in Poland, the Son of Jacob & Rachel Freeman, the eldest of five children. He married Louise and they lived at 22 Clifton Buildings, Camlet St, on the Boundary Estate. 2. JOSEPH HARRIS, Corporal. Service No 13507, Royal Berkshire Regiment, 2nd Battalion. Died 2nd April 1918, aged 23. Grave II. E. 4. Pargny British Cemetery. Joseph’s father, Benjamin, a slipper maker from Warsaw who worked from home was unable to write his name, signing the census form with a cross. Joseph was born in Spitalfields and had four brothers and four sisters. His mother, Sarah, was a charwoman. By seventeen, Joseph was a general labourer and, when he died, the family were living at 33 Culham Buildings on the Boundary Estate. 3. JAMES DANIEL POPPY, Private. James was Roman Catholic, born in 1885, and attended St Ann’s School in 1893 while living at 24 Gt Pearl Street. By 1901 he was a ‘Boy Under Detention’ at St David’s Reformatory School for Catholic Boys’ in Wales, run by Jesuits, where he received land-based nautical training. By 1906, aged twenty-one while living at 24 Thrawl St and working as a shoemaster, he entered Whitechapel Infirmary with a ‘swelled face.’ In 1909, now at 4 Flower and Dean St, he was treated in Stepney Workhouse Hospital for ulcerated legs. By 1915, he was a hawker and back in the Whitechapel Infirmary. His military career is unknown. 4. JOSEPH FREDERICK GOODSON, Rifleman. Service No 56007, King’s Royal Rifle Corps, 6th Battalion. City of London Rifles. Born 10th May 1899 at 19a Corbetts Court and baptised at Christ Church, Spitalfields, Joseph went to St Mary’s School, Spital Sq, when the family lived at 2 Chapel Place. 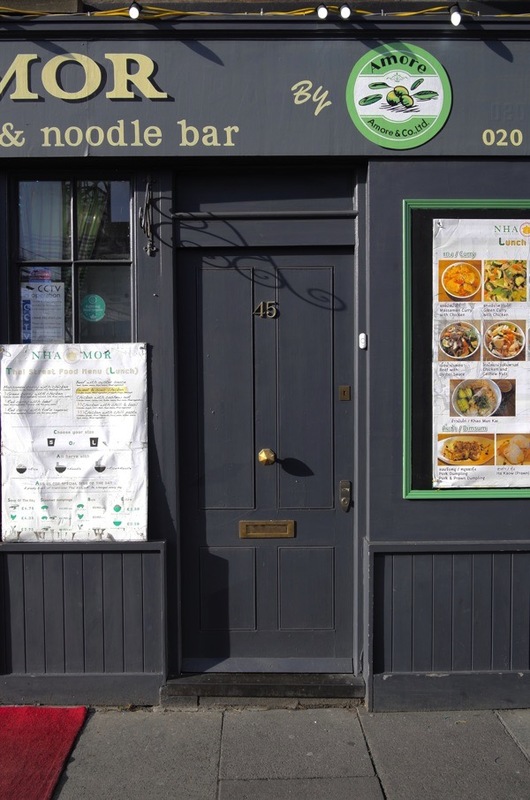 The following year, they moved just around the corner to 2 Nantes Place, Norton Folgate. He was one of six children born to Joseph & Norah Goodson until the year before he enlisted when a brother and sister both died. 5. HENRY GEORGE VINCENT, Private. Service No 16017, Norfolk Regiment, 7th Battalion. Henry Vincent may have brought his young family to Spitalfields to work for the Great Eastern Railway, a short walk from his home at in Commercial St. His father, George, had worked on the railway as a goods clerk, rising to become Railway Station Master in Ramsey, Huntingdonshire, where Henry was born. He followed his father into the railway starting as a railway clerk while living in Tottenham and eventually became a correspondence clerk working from home at 117 Commercial St. The son of George and Mary Ann Vincent, he married the daughter of a farmer, Caroline Chapman, who lived in Hornsey Rise, Islington and they married there before moving to Tottenham. They had four children, three surviving infancy. MALCOLM ANDREW, Lieutenant. Service No 4722, Lancashire Fusiliers, attd. 104th Trench Mortar Bty. Died 17 November 1915, aged 19. Grave IV. E. 3. Taranto Town Cemetery Extension. Malcolm & Leslie, born 1890 & 1896 respectively, were both baptised at Christ Church, Spitalfields, and lived at 96 Commercial St. Their father Thomas, a potato salesman and then a dairyman, was from the remote village of Granton in the Highlands of Scotland while their mother, Martha, was born in Jersey. 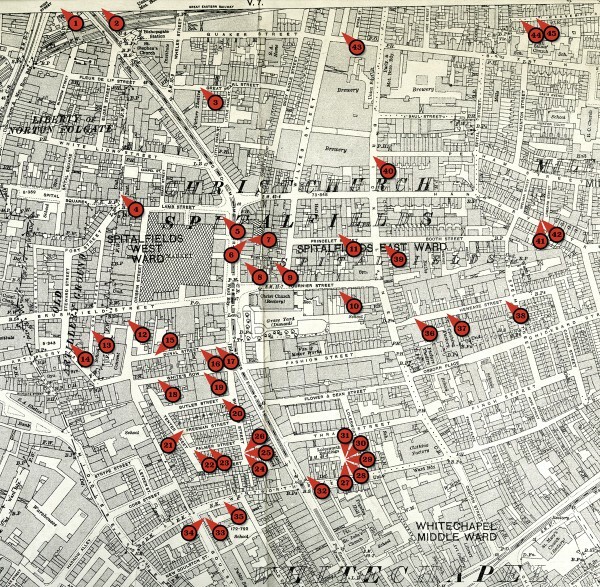 By 1911, Malcolm, then twenty-one years old and single, a fruit salesman’s clerk, was living in a boarding house along with eight others in Hackney while Leslie, a greengrocery clerk, boarded with his sister at 25 Osborn St, Spitalfields. Malcolm was married to Gladys who later returned to her parents’ home on a farm near Tunbridge Wells. Malcolm signed up in 1917 and died seven days before the Armistice, the same day as his neighbour Thomas Anderson. 8. WILLIAM HENRY PERCIVAL, Rifleman. Service No 534290, London Regiment (Prince of Wales’ Own Civil Service Rifles), 15th Battalion. William Gray was adopted by Percy & Grace Percival, parents of Fred, born in Aldgate with a crippled left hand, and Stanley and Grace who both died young. Born on 15th Mar 1898 in Kentish Town, William entered Raywood St Infants School at age three, while living in Battersea, where his father an omnibus conductor. On 9th August 1909, his parents with their three surviving children were admitted to Poplar Workhouse. The children were ten and nine years old with the littlest just eleven months, when when their father was classed as ‘infirm’ and requiring an ‘infirm diet,’ while their mother was classed ‘firm.’ By the end of that year, baby Grace had died. 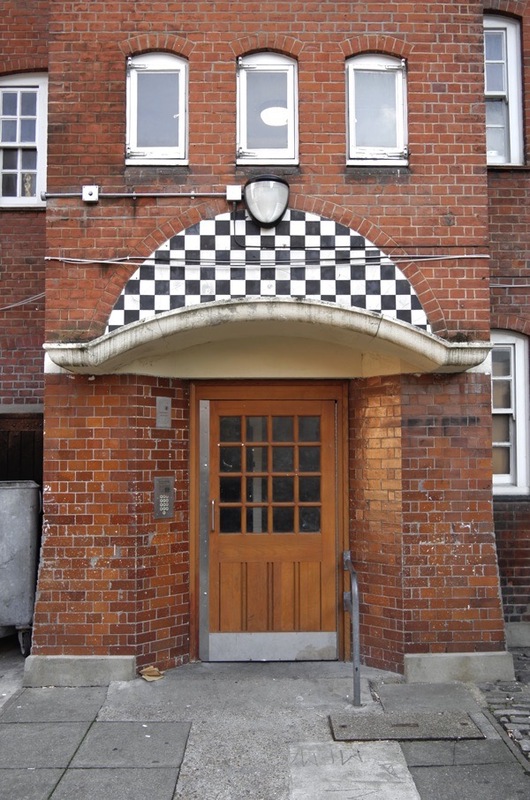 On 20th Feb 1911, Percy was a ‘fruit hawker,’ by then aged forty-three and living at 82 Brushfield St, when he admitted himself to South Grove Workhouse, Whitechapel, as ‘destitute.’ By the time of William’s enlistment, the family were living at 7 Puma Court. 9. HARRY TIPPETT, Rifleman. Service No S/25195, Rifle Brigade, 11th Battalion. Died 1st April 1918, aged 21. Grave P. VII. G. 4A. St Sever Cemetery Extension, Rouen. The Tippett family home was 10 Puma Court, Commercial St. Harry was born on the 14th September 1897 and baptised at Christ Church, Spitalfields. 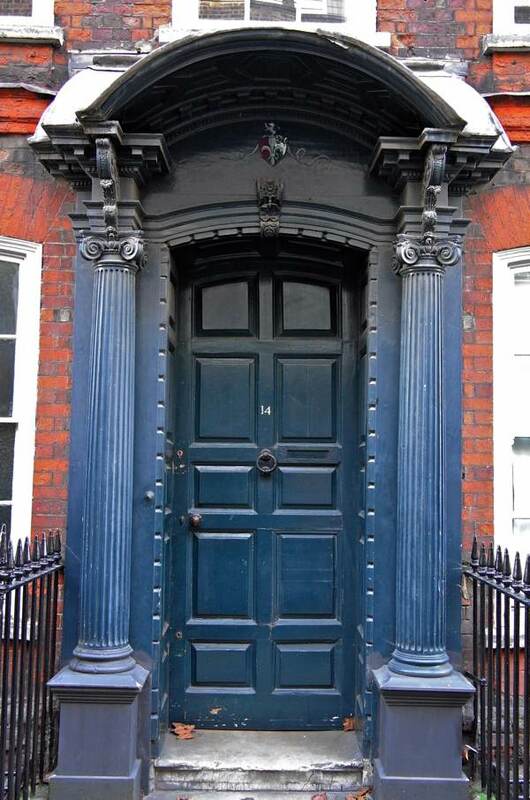 By the time of his death in 1918 his mother, Sarah, widowed since 1911, had moved across the court into the Norton Folgate Almshouses, to “No 3 Alms Rooms, Puma Court.” Harry was one of eleven children, six of whom had died by 1911. By the time of the census his father William, a printer’s assistant, had been dead only a week, leaving Harry, age thirteen and still at school, the eldest son with three remaining sisters. 10. LESLIE LLEWELLYN LITTLEJOHN, QMS. Service No 10673, Royal Scots Lothian Regiment, 2nd Battalion. Died 11th April 1917, aged 24. Grave I.M.2 Duisane British Cemetery. Leslie was an orphan, born in Kensington on 5th Jan 1892. Given a home by Matthew, a blindmaker, and Ellen (Nellie) Littlejohn, he was the third of their six children. On July 15th, 1901 Nellie and all the children entered Britten St Workhouse in Chelsea. In 1909 Leslie, age fourteen, he spent a month in Whitechapel Infirmary with pneumonia and his address given as 14 Fournier St with his brother Cyril, listed as his relative, living in West Brompton. 11. HENRY SHATKOVSKY, Private Service No 132092, Machine Gun Corps (Infantry), 8th Battalion. Henry was the son of Jacob & Fanny Shatkofsky who lived at 19 Booth St (now Princelet St). Jacob died in 1919, followed in December 1927 by Henry’s brother Samuel, followed twelve days later by their mother. When the family buried Fanny alongside Jacob they erected a third stone between them with the inscription ‘In memory of their dear son Henry, Killed in Action 28th May 1918, aged 20.’ The graves are at the Edmonton Federation Cemetery laid our in 1889 on land donated by Lord Montague, MP for Whitechapel, for Jewish people in the East End who could not afford fees asked by other synagogues. 12. JAMES MINNS, Corporal. Service No 4/7904, West Yorkshire Regiment (Prince of Wales’s Own), 18th Battalion. James’s father George, of 56 Flower & Dean St, a brewer’s labourer, married Elizabeth Homewood in 1891 at Christ Church, Spitalfields. Her father was a weaver. On 14th May 1896, James was born and, at fourteen months, he was admitted to the Whitechapel Infirmary with measles, his mother staying with him as he was still suckling. The notes say that his father, then a dock labourer, had been ‘absent for two weeks.’ They lived in Hanbury St then but when he started at George Yard Charity School, the family lived in Aldgate. At six years old, he was re-admitted to Whitechapel Infirmary with an abscess on his face, his address now South Grove Workhouse where his mother lived while his father was at 9d Dorset St. A year on found him still at George Yard School but living in ‘shelters.’ In 1911, James’ parents were at 15 Little Pearl St but James then fourteen years old was an ‘inmate’ at the East London Industrial School in Lewisham for ‘Boys under Detention’, described as ‘a plumber.’ All boys had a trade title but received some schooling. At enlistment, he was living at 45 Crispin St.
13. CHARLES THOMAS KENNY, Rifleman. Service No R/32916, King’s Royal Rifle Corps, 10th Battalion. Charles Keeny died leaving a wife and five surviving children. In 1901, Charles was a plumber living at 9 Paternoster Row, Spitalfields (now Brushfield St) with his parents John, a warehouseman, and Elizabeth – who ran their home as a lodging house – and six siblings. The family lived in two of the rooms, while the other four rooms were occupied by nineteen others. In January 1904, he married Jane Hayes, a hawker, who lived next door. By 1911, they had six children, one of whom died in infancy and they lived two doors from his parents. At the time of his death, the family were at 51 Gun St.
14. DAVID FLYNN, Driver. Service No 40123, Royal Field Artillery, “A” Bty. 83rd Brigade. In 1890, David Flynn was born in Spitalfields, one of seven children, two of whom died before 1911. His parents were David & Theresa Flynn, born in Holborn and the City, both men’s tailors. In 1911 David was sixteen and a contractor’s van boy, he was living with his parents and older brother James, eighteen years old, and younger sister Theresa, twelve years old. They lived in one room at 6 Tenter St, Spitalfields. 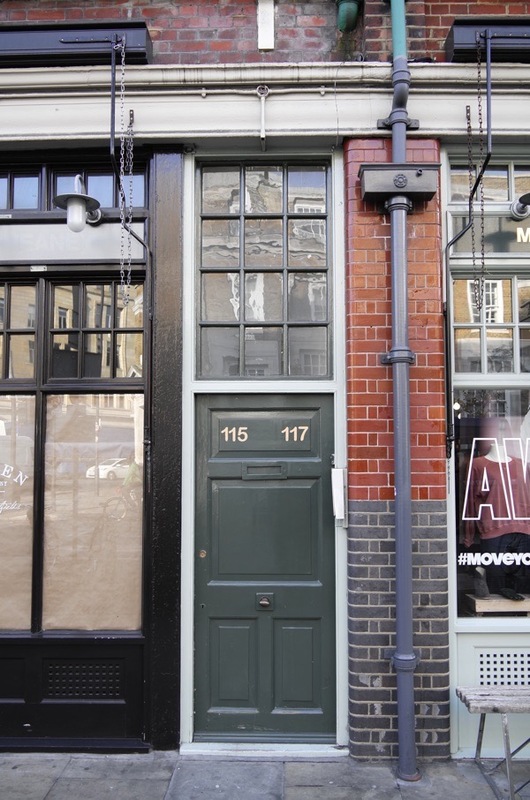 At the time of his enlistment, the family lived at 35 Artillery Lane. 15. AUGUSTUS MAHONEY, Sergeant. Service No 8807, York & Lancaster Regiment, 2nd Battalion. Augustus was born on 8th June 1888 to John & Mary Ann Mahoney, as the eldest of six children. His father, John, was a general labourer from Cork. 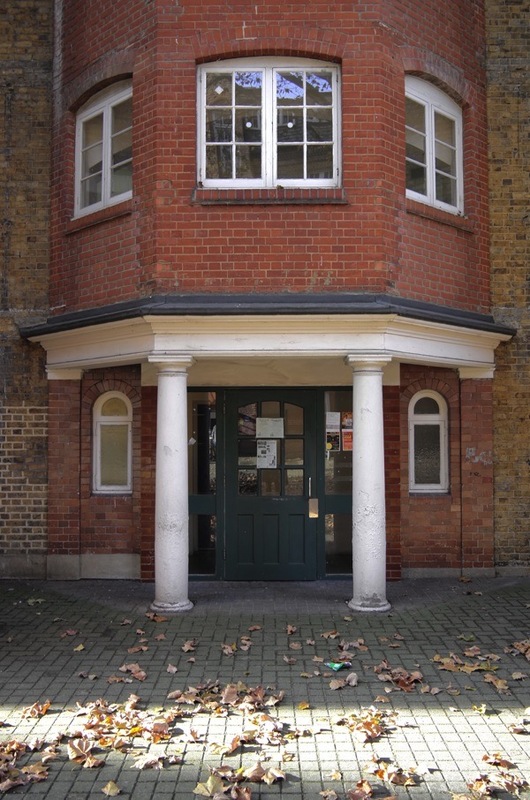 In 1894, when Augustus enrolled at St Matthias School, the family were living at 41 Bacon St but by 1901 they had moved to 39 Dorset St – in the house at the entrance to Millers Court where thirty-seven people lived, seven families in seven rooms. When he was nineteen years in 1907, Augustus decided to leave his job as a news vendor and enter the army and by 1911 was serving in India. On Christmas Day 1917, he married Florence Squibb at the Church of St Mathew, Bethnal Green, but was killed just three months later. 16. JOSEPH DANIEL DISS, Gunner. Service No 125215, Royal Field Artillery, 306th Brigade. On 11th February 1901, Joseph Diss spent eight days with his siblings Mary & Edward in the City Rd Workhouse, where they were followed a few days later by brothers George & Walter. The family lived in an overcrowded house in Clerkenwell, which was home to eight families, totalling thirty-two people. Born in 1895 in Robin Court in the City of London, he was one of eleven children born to Thomas Diss, a hawker of wooden cases and his wife Minnie. Six children had died by 1911, when the remaining five with their parents plus Joseph, aged fifteen, a brewer’s van boy, lived in one room at 5 Duval St (Dorset St). Three months before the war, Joseph, then a carman, married Ellen, twenty years old, a packing case dealer who was pregnant with their first child. They lived at 7 Duval St. The year Daniel married, his younger sister Mary married Philip Schratsky, who was also killed. 17. BERTIE INGREY, Rifleman. Service No 14/45152, Royal Irish Rifles, 14th Battalion. Born in 1892, Bertie was the son of Mrs. Agnes Garroway, of 2 Duval St, Spitalfields. 18. JAMES EAGLE, Rifleman. Service No 11475, King’s Royal Rifle Corps, 16th Battalion. Died 20th May 1917, aged 23. Panel Bay 7. Arras Memorial. In 1911, James Eagle’s mother, Anna, an out-of-work charwoman, was recorded as an ‘inmate,’ along with two hundred and fifty-nine others, at Providence Row Night Refuge in Crispin St, Spitalfields. James was born in Bow in 1894 and by 1917, the year James was killed, Anna was living at 33 Whites Row, with his brothers William and Thomas. Died 23rd November 1918, aged 45. One of three graves ‘near the SE corner’ of Wevelgem Communal Cemetery. Harry was the husband of Annie and they lived at 23 St Margarets Buildings, Whites Row. He was forty-one years old in 1914, three years over the age limit of thirty-eight for regular army enlistment. 20. ISAAC FRANKS, Private. Service No 282370, London Regiment (Royal Fusiliers), 4th Battalion. Died 4th June 1917. Grave II. B. 11. Crooisilles Railway Cemetery. Emanuel & Raynor Franks were born in Amsterdam, but their children all born in Spitalfields. Isaac was born on 25th January 1893. In 1900, when he was aged seven, the family were living at 3 Butler St (now Brune St) and he attended St Mary’s School. They lived with two other families making eighteen in one house, six adults and twelve children. Isaac’s father, Emanuel, was a hawker and the two other fathers in the house were ‘hawkers of lemons.’ By 1911, they had moved to 130 Rothschild’s Buildings, E Block, Spitalfields. 21. LOUIS BARZOLOI, Private. Service No. 611863, London Regiment, 1st/19th Battalion. Died 7th December 1917, aged 23. Grave III. F. 7. Abbeville Communal Cemetery Extension. Louis’s father, Philip, was a labourer in the London Docks and came from Leeds, while his mother, Hannah, was from Amsterdam. 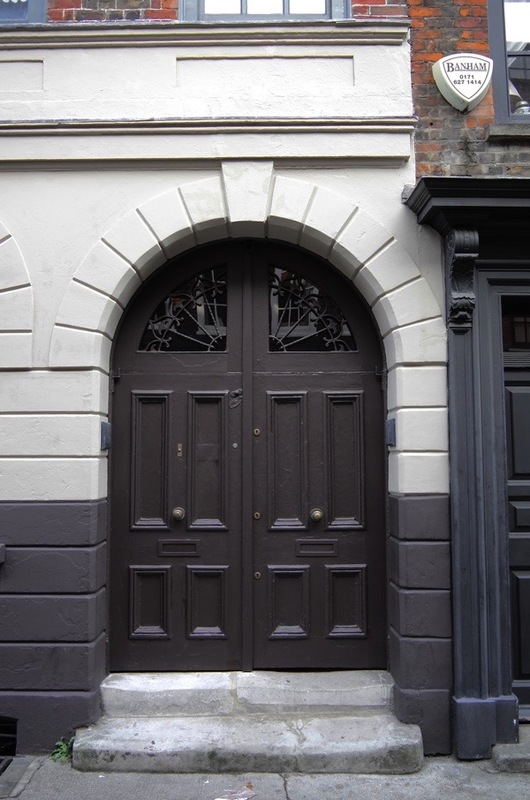 In 1901, Louis, age six years old, he was living with his Dutch Grandparents, Emanuel, a retired upholsterer, and his wife Betsy, along with his parents Philip & Hannah, and his four siblings at 8 Freeman St, Spitalfields. His brother Isaac was a cigar maker and fourteen-year-old David was a bookstall assistant. They shared their tiny terraced house with another couple. By 1911, the family were at 6 Butler St. His father, who was no longer a dockworker, and his brother David, were both hawkers of sweets, while his brother Jacob was a labourer in the market and Louis, then sixteen years old, was a boat riveter. 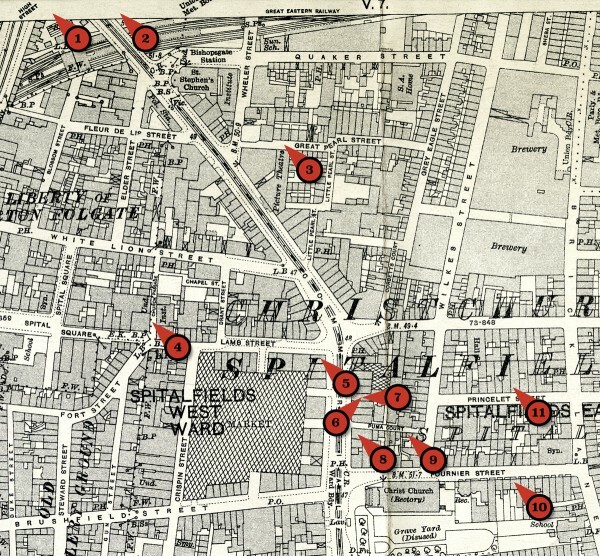 All eight children were born in Spitalfields. 22. MOSES MICHAELS, Private. Service No 54958. Royal Welsh Fusiliers, 10th Battalion. Moses’ father, Simeon, died when Moses and his brother Solomon were aged just three and one years old and thereafter their mother Rosetta (known as Rose) brought up her two sons while working from home as a dealer in old silk hats. Rose had grown up a few streets away in Gravel Lane, just off Petticoat Lane. Moses was born in 1887 at 9 Palmer St and by the age of fourteen he was working in the boot trade. Also living with them were Rose’s niece Bloomah, a cigar maker, and her brother Alexander, a repairing tailor, in which trade Moses joined him while his brother Sol became a tailor’s stock cutter. 23. ALEXANDER ISAACS, Rifleman. Service No 6044, Rifle Brigade, 9th Battalion. Died 6th January 1916. Panel 46-48 & 50 Ypres (Menin Gate) Memorial. Alexander was married to Sarah Isaacs who lived at 18 Palmer St.
24. MICHAEL HOLBROOK, Private. Service No 77180, London Regiment (Royal Fusiliers), 2nd/4th Battalion. Died 25th April 1918, aged 18. Grave I. A. 1. Crouy British Cemetery, Crouy-Sur-Somme. Michael’s family were Roman Catholic. Born in 1900, he was the son of John & Ellen Holbrook of 7a Shepherd Buildings, (now Toynbee St). At age thirteen, Michael was admitted to hospital with ulcerative tonsillitis. The family were then living at 11 Margaret’s Buildings, Whites Row. His hospital discharge states that his mother had moved to 194 Hanbury St and his father, a dock labourer, was living in Duval St (Dorset St). 25. GEORGE FIELDSEND, Private. Service No 211800, Rifle Brigade. George was not killed in battle but died in Whitechapel in 1921 aged thirty-five, presumably from injuries sustained in the war. He was the son of Frederick Fieldsend & Norah Hennessey. His father was a market porter, and later a fruit and vegetable hawker. George and brothers Frederick & William followed their father into the trade. They had two sisters, Ellen & Nora. In 1896, they lived at 8 Corbett’s Court, Hanbury St. By 1901, the family lived at 5 Crispin St in a pub on the corner of Dorset St, the Horn of Plenty, where forty-two others lived, mainly families with children. By 1911, they were at 20a Shepherds Buildings. While working as a travelling salesman in June 1911, George married ‘the girl next door’ Ellen Bailey from No 19. 26. GEORGE RANDALL, Private. Service No 205180, Queen’s Own (Royal West Kent Regiment), 11th Battalion. George’s mother, Emma, lived by taking in washing and his father, Thomas, was a labourer. 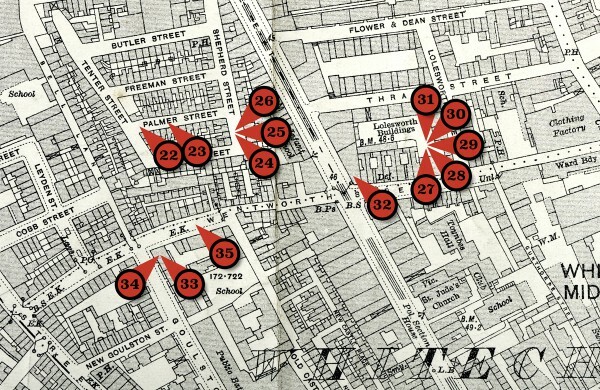 In 1891, Thomas & Emma and their children lived at 4 Brick Lane and, by 1901, they were at 27 Shepherd’s Buildings (Toynbee St) with the older son, Ernest, working as a horse groom and their father as a navvy. 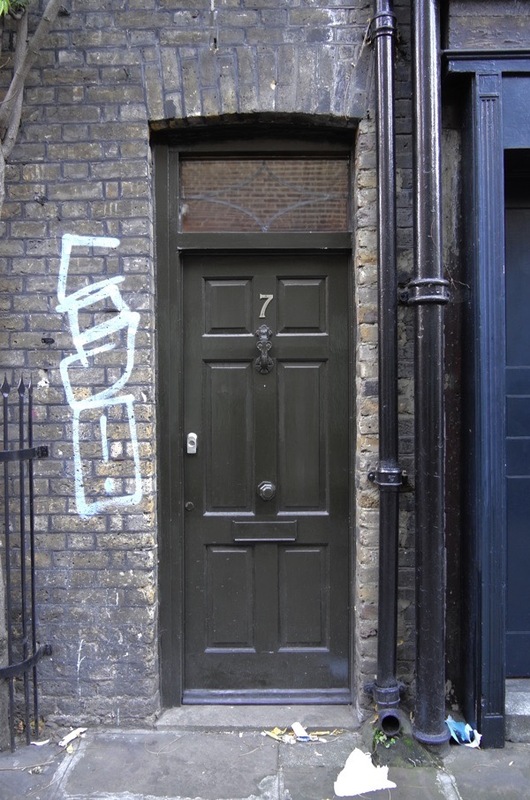 By 1911, George was no longer at home but his family were at 4 Wheler St, Spitalfields. 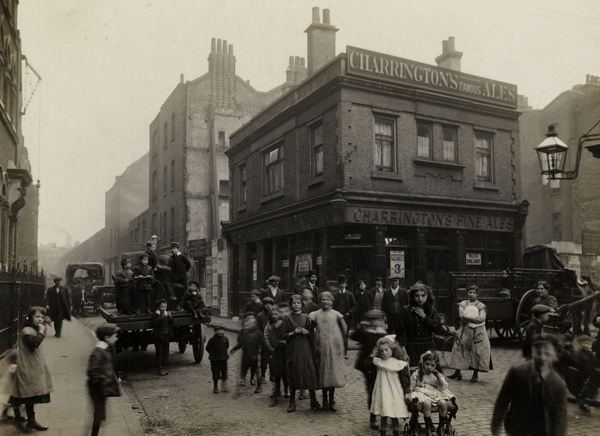 At the time of his marriage at Christ Church in 1915 to Rose Everson, a glassblower of 132 Vallance Rd, George was a City Corporation servant and back living in Spitalfields again. George died just nine months after their first son, Edward William, was born on 23rd December 1916. 27. THOMAS DERBY ANDERSON, Private. Minns. Service No 49655, Northamptonshire Regiment, 1st Battalion. Thomas’ father, William, a cigar maker, was thirty-seven years older than his mother, with May, the youngest, born when he was seventy-one. 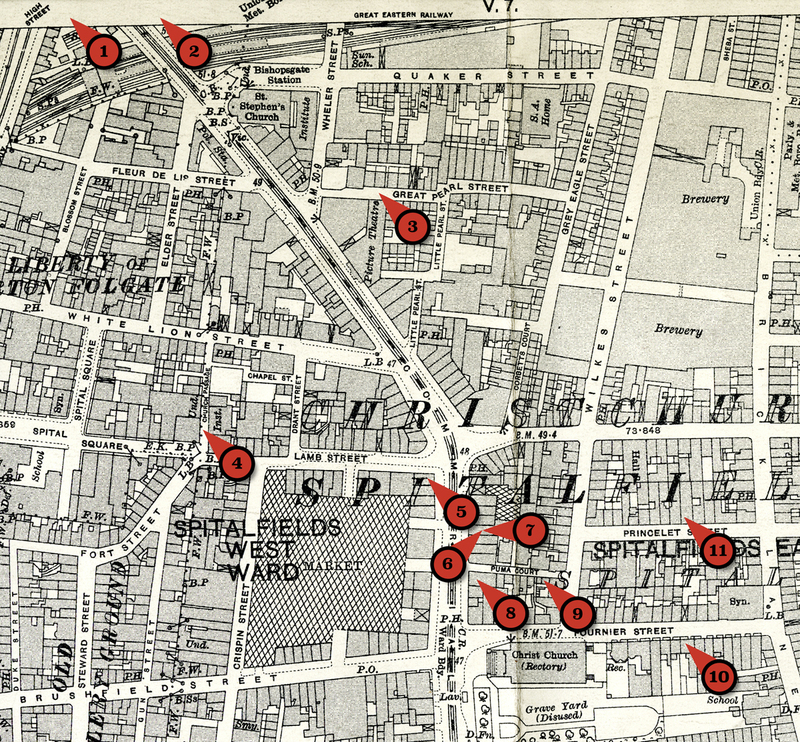 Thomas was born on 31st May 1899 and baptised at Christ Church, Spitalfields, one of nine children in the family, living at 132 Lolesworth Buildings, Thrawl St. He attended George Yard Charity School, Whitechapel, (also known as the George Yard Ragged School). His older brother was a telegraph messenger and an older sister was a card box maker. He worked as a carman and was living in Lolesworth Buildings when he enlisted. He died seven days before the Armistice. 28. JOHN ALFRED BARNSLEY, Lance Corporal. Service No G/10818, The Queen’s (Royal West Surrey Regiment), “B” Coy. 11th Battalion. After his father died when John was fourteen and his mother when he was twenty, John was left head of the family with four sisters, the youngest just eight, living in two rooms in Old Ford. John, a chairmaker, was born in 1890, the son of John Barnsley, a book laster, and his wife Emma.. In 1915, he was married at Christ Church, Spitalfields, by the Rector Charles H Chard, to Rose, a glass engraver, daughter of George Clements, a dock labourer and they lived at 167 Lolesworth Buildings, Thrawl St.
29. WILLIAM HENRY CLEMENTS, Private. Service No 295381, London Regiment (Royal Fusiliers), 2nd/4th Battalion. Died 9th August 1918, aged 21. Panel 10. Vis-en-Artois Memorial. When William was fourteen, his brother was employed as an upholsterer’s spring binder with his three sisters working as a cigarette labeller, a worker in a druggists and a charwoman. Born on 1st May 1897, Henry’s father George was a dock labourer and his mother Caroline was a charwoman. Their cousin lived with them in three rooms at 167 Lolesworth Buildings, Thrawl St. All were born in Stepney, except their mother who was from Hoxton. He started at George Yard Charity School on 12th January 1903 where many of the children starting at that time were listed as from Russia. Rose Clements, William’s sister, married John Barnsley – also on the memorial – and moved into the family home. 30. RENE GAUTIER, Corporal. Service No 10462, Gloucestershire Regiment, 7th Battalion. Died 8th August 1915. Panel 102 to 105. Helles Memorial. Rene’s parents, Fernand & Victorine (later called Adele) were born in France. Rene, one of eight children, was born in Paris but, by 1891, the family were living in a shared house in Shoreditch. By the time of his marriage in 1910 to Emily Wragg, aged twenty-one but already a spinster, he was a ‘moulding maker,’ as his father had been, and living at 202 Lolesworth Buildings. They were married at Christ Church. In 1911, Rene & Emily had a daughter, Gladys, who was just four when her father died. 31. WILLIAM ROBERT LIPMAN, Rifleman. Service No 5978, London Regiment, 17th Battalion. Died 8th November 1916, aged 22. Panel X.C.5, Lijssenthoek Military Cemetery. William was born on 3rd Nov 1893 in Spitalfields, as the youngest of five children of Joseph & Mary Ann Lipman. The family lived at 63 Lolesworth Buildings, Thrawl St. 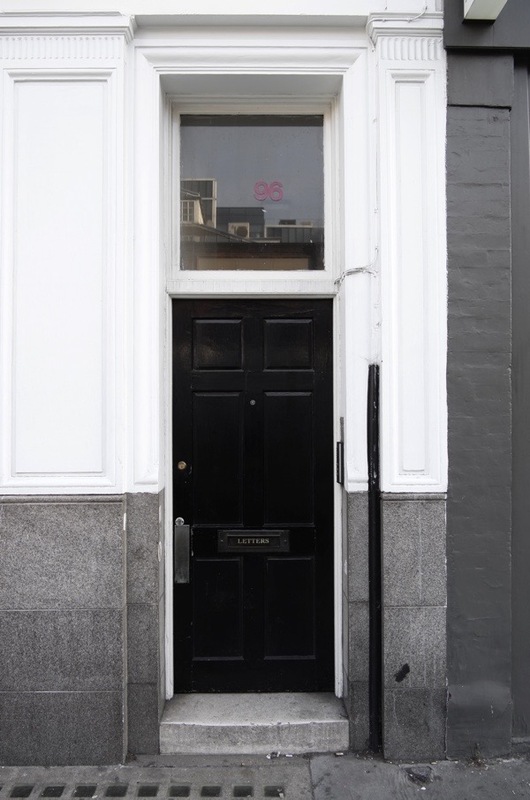 When William was born they lived in No 44 but, by the time he started at George Yard Charity School, they had moved across the Buildings into two rooms at No 63. William, like his father and older brother, was a carman while his elder brothers were a tea packer and a railway van guard. 32. PHILLIP SCHRATSKY, Rifleman. Service No R/22366, King’s Royal Rifle Corps, 7th Battalion. Died 21sr March 1918, aged 24. Panel 61 to 64, Pozieres Memorial. School records show Phillip was born in Romania on 30th May 1894, the eldest of eleven children born to Jack, a tailor, and Mary (Minnie) Schratsky. He started at Berner StSchool in 1900 while living at 51 Cable St but a few months later the growing family moved into two rooms at No 25 Block A, Rothschild’s Buildings in Flower and Dean St. Then they moved to three rooms in 20 Alexandra Buildings, Commercial St. Phillip and his father were tailor’s pressers and his fifteen-year-old brother Zucman was a cigarette maker. In 1914, he married Mary Diss who lived next door when he was at 6 Duval St, the younger sister of Daniel Diss, who was also killed in the war. 33. MOSES FRESCO,Rifleman. Service No 474352, London Regiment (The Rangers), 12th Battalion. Died 9th April 1917, aged 20. Panel 1.A.27. London Cemetery, Neuville-Vitasse. Moses’ father was a short man of 5 feet 6 inches who enlisted in the Army on 7th June 1915 stating his age asthirty-eight years. Howevee, he was actually forty-five years old with seven dependant children .The second of twelve children born to Alexander, a fish hawker, and his wife Betsy, Moses was born in 1897 in Spitalfields. In 1901, the family of six lived in two rooms at 171 Wentworth Buildings, but by the next year the family had mysteriously grown to eleven and lived in three rooms at 19 Grey Eagle St, which they shared with another couple. 34. CHARLES WASHINGTON, Private. Service No 6427, The King’s (Liverpool Regiment), 1st Battalion. Died 10th March 1915, aged 36. ‘Missing at Givenchy.’ Panels 6 to 8, Le Touret Memorial. Charles Washington, son of Henry Charles Stamm, was born in 1878 in Montreal, Canada, as one of four boys. Then his parents moved to Brooklyn, New York. By April 1899, aged twenty, he was a labourer living in Warrington where he enlisted in the Army for twelve years, but completed fifteen. He fought in the Boer War. Recorded as just 5 feet 5 inches tall and weighing nine and half stone stone, he had grey eyes, light brown hair, sallow complexion with numerous scars to his back and loins. By 1908, he had a scar on his jaw, two scars on his left hand and three tattoos to his arms – anchor, stars & stripes and a ‘female figure and bust.’ His character was described as ‘Indifferent.’ He was in hospital in Rangoon, later in Dublin, for various conditions including syphilis which caused ‘loss of feeling in both arms.’ He was on the Syphilis Register. In March 1900, he spent 56 days in the Military Prison, the first of various confinements for offences which included ‘using insubordinate language towards an officer’ (84 days), ‘drunk in town,’ ‘deficiency of kit and public clothi,g,’ ‘loss of equipment,’ ‘absence from Tattoo,‘ going AWOL and desertion. He forfeited pay ‘thru physical inefficiency.’ Yet on his death, the box for ‘Good Conduct Pay’ was ticked. In 1910, while living at 22 Whitechapel High St, he made a statement to the Thames Police Court about losing his Identity & Life Certificate, and by September 1911 he had moved to 198 Wentworth Buildings, Wentworth St. He changed his name to Isidor Stamm – occasionally calling himself Israel – and converted from Roman Catholic to Judaism prior to marrying Fanny Bearman in Mile End Old Town in July 1912. They had to no children. 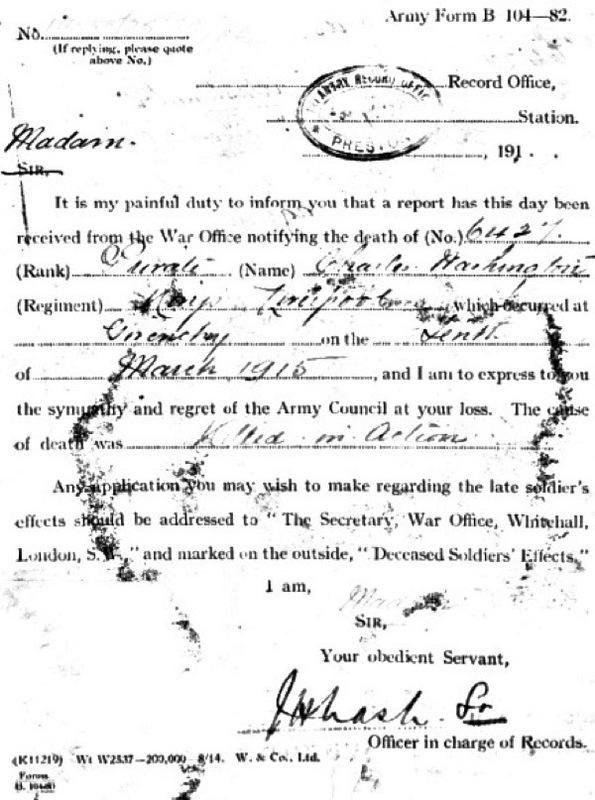 However, the Army received a letter from ‘Margaret’ in Warrington asking for his whereabouts as he was the father of her child. Fanny was awarded his Widow’s Pension of ten shillings a week. 35. JAMES HAYES, Private. Service No 8946, South Staffordshire Regiment, 2nd/8th Battalion. Died 25th September 1915, aged 20. Panel XXX1.A.8, Cabaret-Rouge Cemetery, Souchez. John, James’ father, was born in Bishopsgate and his mother, Elizabeth, in Spitalfields. 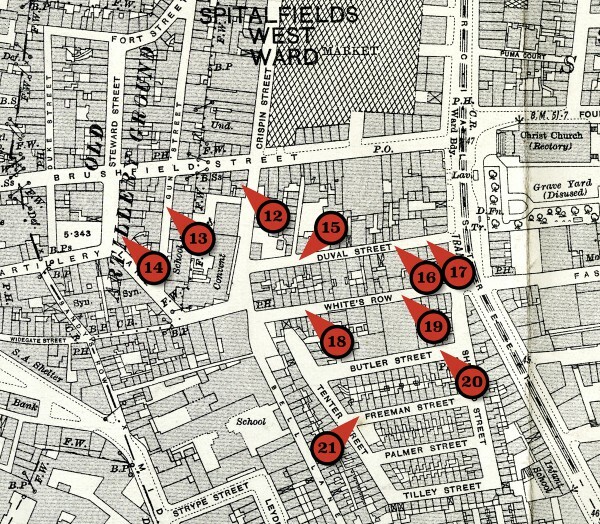 James was born on 16th February 1894 and the family of six lived in Spitalfields, firstly at 116 Wentworth St, then they moved to 6 Flower & Dean St where they were when he started at George Yard Charity School. On finishing school, James followed his father to the docks where they both worked as labourers. 36. ALBERT E. SUTER, Company Quartermaster Sergeant. Service No 27496, Royal Engineers, Postal Section. Died 22nd November 1918. Grave I. D. 2. Solesmes British Cemetery. Albert’s wife was Louie, the daughter of the schoolmaster and mistress, Edward & Louisa Skinner, of Christ Church School, Brick Lane. They lived in the Schoolmaster’s House. Albert, when twenty-five years old and living in Notting Hill while working as a Post Office sorter, married Louie on the 10th January 1913. 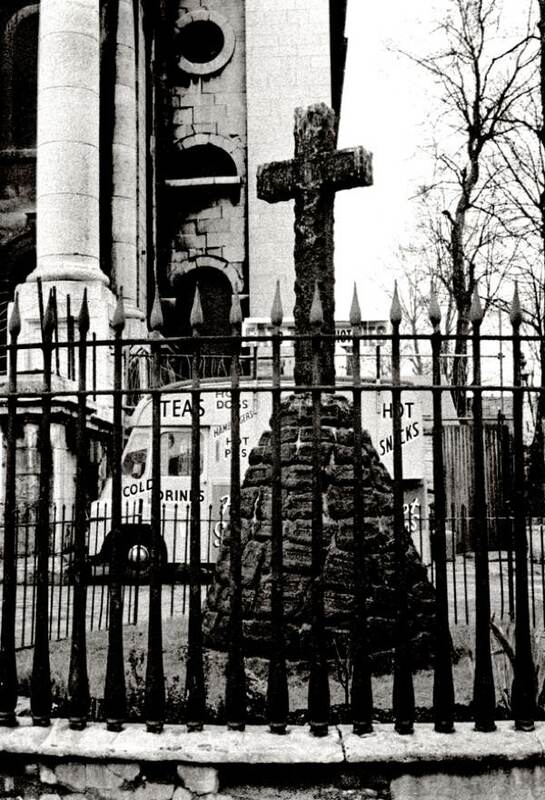 He had been baptised at Christ Church, Spitalfields, on 28th Sept 1887. His father, Alfred, was a carpenter, later a warehouseman, and the family lived at 4 Heneage St. Albert died just after war ended and Louie returned to the School House to live with her parents. 37. HYMAN MOSES, Private. Service No 37806, Northamptonshire Regiment, 9th Labour Company – transferred to (87874) 147th Company. Labour Corps. Hyman’s parents were Barnett & Sarah Moses from Russia. Barnett was an umbrella stickmaker who worked from home. They had seven children but one died. Born in Spitalfields, Hyman was still living there at the time of his enlistment. 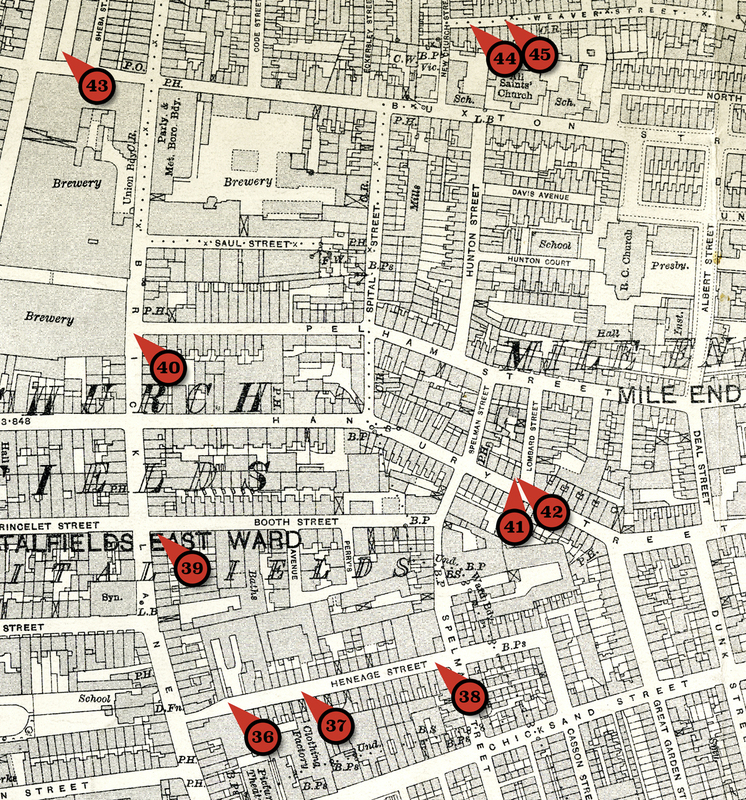 In 1891 ,the family were living at 50 Grey Eagle St and by 1901 they were at 134 Brick Lane. By 1911, they were all at 27 Heneage St when Hyman, twenty-five years old and single, was a packer in the tobacco works, while his older siblings worked in the fur and millinery trades. Hyman married Hannah and they had a daughter, Rose and lived at 8 Palmer St, opposite Moses Michaels, who was the same age as him and was killed the previous year. 38. MORRIS GOODMAN, Rifleman. Service No S/19802, Rifle Brigade, 12th Battalion. Died 24th August 1917, aged 27. Grave VIII. I. 13. Boulogne Eastern Cemetery. Morris was born in 1890 and married Leah, with whom he had two children and lived at 35 Heneage St.
39. JOHN WRIGHT, Rifleman. Service No 6/608, Rifle Brigade, 9th Battalion. Died 25th September 1915. Panel 46 – 48 and 50. Ypres (Menin Gate) Memorial. John Alfred Wright was born in Spitalfields and baptised in Christ Church on 24th March 1889. The family lived at 27 George St in the heart of the Flower & Dean rookery. John had an older sister Sarah Ellen. 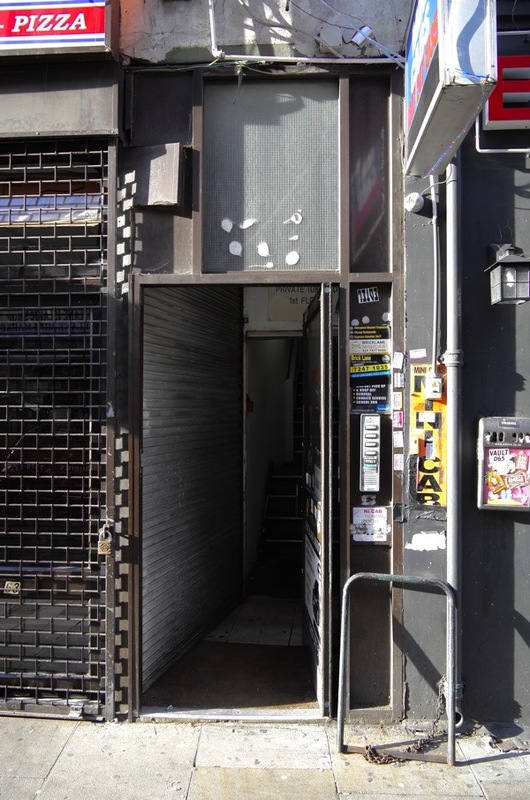 By 1901, their mother had died and the family of three were living at 63 Brick Lane. At recruitment on 24th Aug 1914, John had become a general labourer like his father. 40. FREDERICK GOLDSTEIN, Private. Service No 281362, London Regiment (Royal Fusiliers), 2nd/4th Battalion. Died 19th May 1917. Panel Bay 9, Arras Memorial. Frederick’s father Harris was from Plotska in Poland and his mother Annie from South Russia, both were tailor machinists. He was born on 22nd October 1895, as one of eight children all born in Spitalfields. Frederick joined his parents as a tailor machinist on leaving school. They lived at 2 New Church St, Brick Lane. JAMES HUGHES, Rifleman. Service No 6/9878, Rifle Brigade, 11th Battalion. Died 14th July 1918, aged 27. Grave 1.E.24, Ligny-St. Flochel British Cemetery, Averdoingt. THOMAS HUGHES, Rifleman. Service No S/2458, Rifle Brigade, 12th Battalion. Died 25th September 1915, aged 23. Panel 10, Ploegsteert Memorial. James was admitted into the Whitechapel Infirmary with bubonic plague in February 1914, at the age of twenty-two, while living in lodgings in Flower & Dean St, still single and working as a chairmaker. Born May 1891 at 59 Wentworth St, he was the eldest child of seven born to Thomas Hughes, a haddock smoker, and his wife Rachel, all in Spitalfields. Thomas was born eighteen months after James. James & Thomas started at George Yard Charity School on the same day. 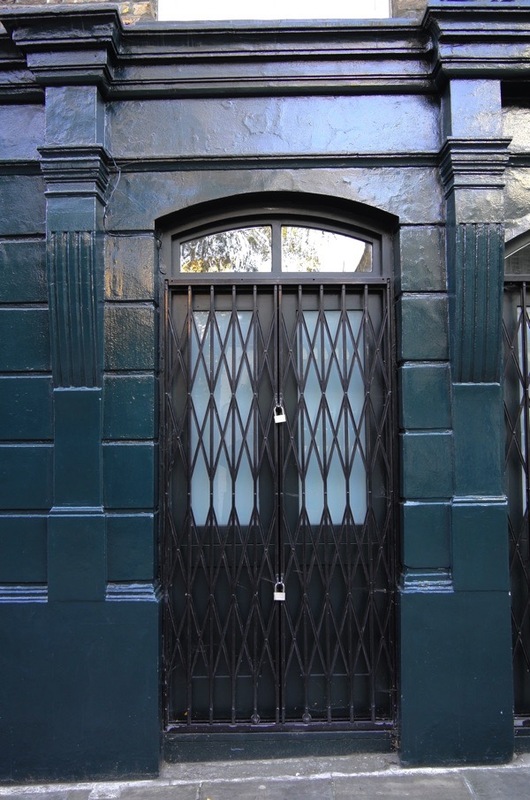 In 1911, the family were at 38 Hanbury St. By then James had become a chairmaker and his mother worked as a ‘bedmaker in lodging houses.’ In 1912, Thomas, who had become a french polisher, was married to Sarah Strange and they had two daughters, Emma & Sarah. 43. HENRY LEE, Rifleman. Service No 21016, King’s Royal Rifle Corps, 21st Battalion. Died 4th August 1917. Grave C19, Oak Dump Cemetery. 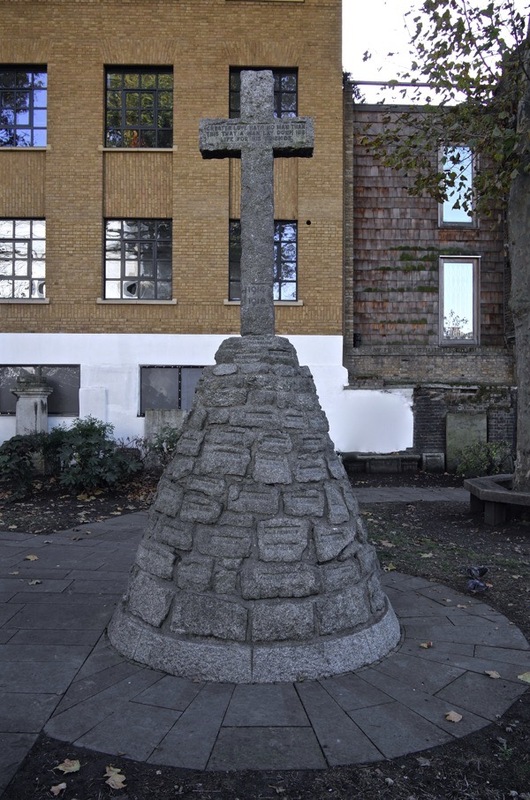 Henry, the son of Thomas Lee, was baptised in July 1886 at Christ Church, Spitalfields, when the family were living at 6 Gt Eastern Buildings and he was still living in Spitalfields at the time of his enlistment. MARK SHUSTER, Lance Corporal. Service No 33285, Lancashire Fusiliers, 18th Battalion. Died 30th July 1916, aged 21. Addenda Panel, Thiepval Memorial. DAVID SHUSTER, Private. Service No 33292, Lancashire Fusiliers, 18th Battalion. Died 30th July 1916, aged 19. Panel Pier and Face 3 C and 3 D, Thiepval Memorial. On 30th July 1916, the Shusters lost their two eldest sons, David & Mark, aged nineteen and twenty-one respectively. David had been a gents’ tailor. They were the eldest sons of nine children born to Russian immigrants, Vigdor (Victor) Shuster, who worked from home as a ‘finisher of boots,’ and his wife Golda, who bore him nine children. They lived at 4 Harriot Place, Fashion St, in 1901, moving to Bethnal Green, then Dalston, but by 1916 a newspaper report shows them back in Spitalfields, at 46 Weaver St. David & Mark joined the Lancashire Fusiliers together. On the day they died, their regiment was part of the Somme offensive attacking near the village of Guillemont. They are remembered at Thiepval along with 72,193 fellow soldiers from the Somme with no known grave. 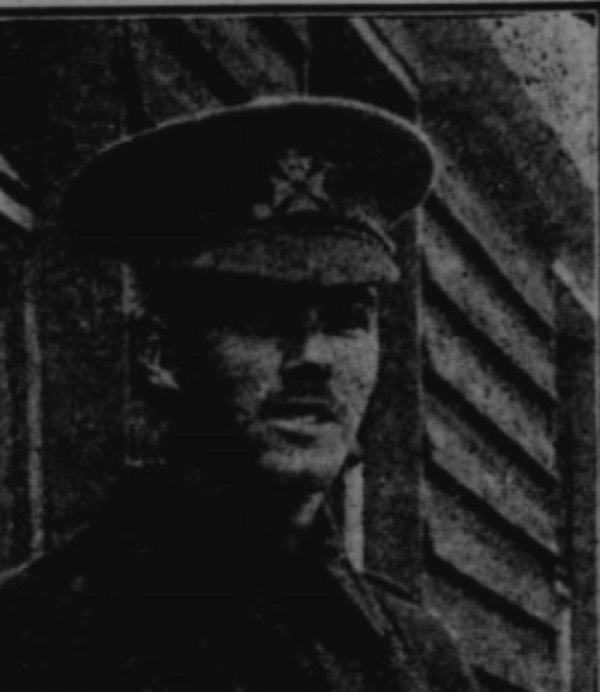 ERNEST EDWARD DENCH, Lance Corporal. Service No 9351, East Lancashire Regiment, 2nd Battalion. WALTER H HERSEY, Gunner. Service No 47144, Royal Field Artillery, 46th Bty. ERNEST PETERS, Rifleman. Service No R/21426, King’s Royal Rifle Corps, 9th Battalion. Died 15th September 1916. Panel Pier & Face 13 A & 13 B Thiepval Memorial. Edward Ernest Raymond Peters was born 24th January 1897, the son of John & Phoebe Peters, his father a recorded as a fly driver. He had nine brothers and sisters and they lived at 39 Nutley Lane, Reigate. By 1901, his father was a groom and, by 1911, a cab driver with Ernest, then fourteen years old, an errand boy. By the time Ernest enlisted he was living in Stepney. ERNEST WILLIAM RANDELL, Rifleman. Service No 323355, London Regiment (City of London Rifles),1st/6th Battalion. GEORGE RANDALL, Private. Service No 205180, Queen’s Own Regiment (Royal West Kent), 11th Battalion. ALBERT EDWARD RUSSELL, Rifleman. Service No S/14866, Rifle Brigade, 2nd Battalion. Albert was born in Bermondsey, lived in Spitalfields and enlisted in Shoreditch. By the time the graves were detailed his mother, Mrs S A Russell, was living in Croydon. FREDERICK WRIGHT, Private. Service No 22042, Royal Fusiliers, 32nd Battalion. Died 7th October 1916. Grave VIII. J. 5. A.I.F Burial Ground, Flers. Frederick was born and lived in Spitalfields, and signed up in Shoreditch where many locals enlisted. On 7th October 1916, as part of the Somme offensive, Frederick’s unit attacked Bayonet Trench where he lost his life. 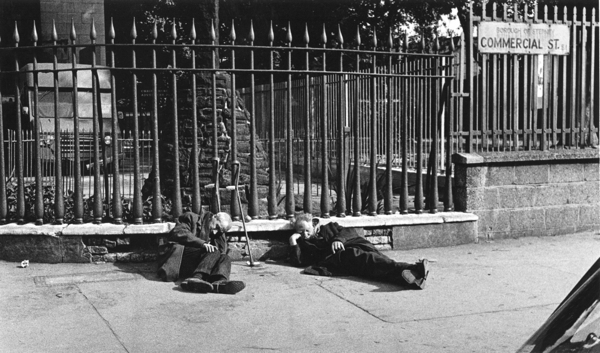 Between 15th September and 7th Oct the Royal Fusiliers, 32nd Battalion, made three attacks with 185 men losing their lives of which 117 bodies were never found. Additionally, there are these twenty-nine men for whom no records have yet been found and who are not listed by the Commonwealth War Graves Commission. It is possible that they died of injuries after the war and after the date range covered by the Commission. Never forget those who gave us their tomorrow so we can have today to live. RIP heroes and heroines. a simple picture of a doorway -yet so very moving, as long as there are people like you gentle author, they will never be forgoten. So many were the children of immigrants and died for their country – theirs for a very short while. We need to bear this in mind. Thanks, GA.
GA, what a wonderful, yet sad, study by Vicky Stewart. So personal, especially with those doorways through which these men never returned. Most appear to have been living at what we would call “poverty level” today. Last summer I visited the Imperial War Museum in London, opened after many years of refurbishment. They have excellent interactive WWI displays. I bought a poppy which I have worn all this week in honor of those veterans – on both sides of the Atlantic. Give Peace a Chance & Make Love, No War! If I may add some kindred words from the US this morning……..Today, in our small rural town in the Hudson Valley, we are having the grand opening of an exhibit that honors our WWI veterans; plus we are presenting certificates to our senior Vets from Korea and the Cold War Era. I smiled to see your maps with red locators, because we have done the same here in Ancram. I have posted a map of our small town, with red numerals and we are so blessed to also have photos of all of these men. Each of the men returned from the War, and lived long lives in Ancram. Today, will be a day of story-telling, recollections, and gratitude. I feel quite honored to have the opportunity to begin this day, reading the stories you have posted, and to see the photos. Thanks for adding to the significance of this day, in your community and mine. I would surmise that a phenominal amount of research was put into this article. The described life of these men and boys was so brief, so sad, the naratives are so heart rending. What a superb piece of research. The end result of all that work is a harrowing picture of the grim lives of so many Eastenders, some of whom left poverty and overcrowding only to be killed in the squalor of the Western Front. If we regard these men as OUR glorious dead then the piece is a wonderful riposte to those foul people who seek to divide our communities and to revive the anti-semitism which so threatened the area in the 1930s; immigrants, in this case Jewish immigrants, fought and died for OUR king and country. A brilliant posting, really brilliant. growing up in my neighbourhood i knew most of the places they lived, my friend lived in puma court, we must have walked past many of those gallant mens doors on our way to school. Thank you to the collaborators who have given faces and personalities back to these soldiers and their families, united in a cause but from such diverse circumstances. The doorways they passed through are brilliantly effective images. The effort you have put into your research is astounding. Moving and insightful. From a daily visitor to your site in Suffolk. Thank you. So many people walked out of their front doors and never returned in two world wars that should never have happened. Do we learn the lessons, do we heed the warnings, does that past mean nothing to the people who we trust to govern our nations? It seems not. 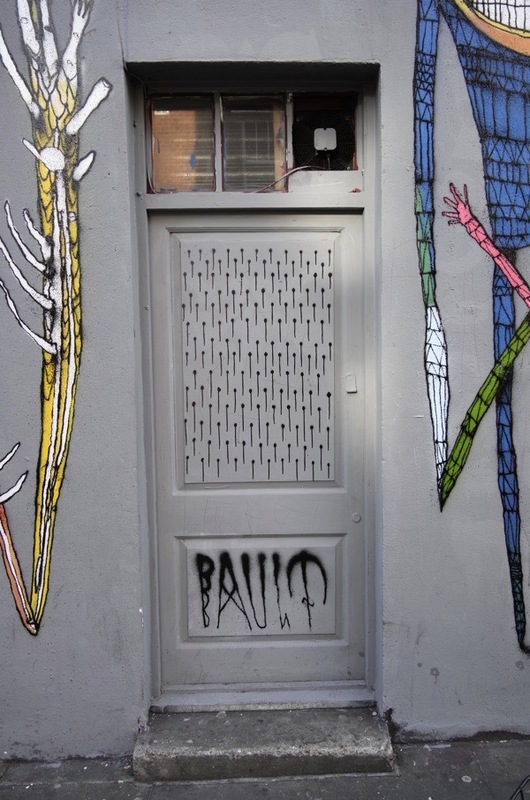 Simple pictures of those doors resound with the ghosts of darker days. A powerful and moving piece. Fine and painstaking research giving a detailed portrait of the area at the time, as well as a wealth of detail about these men and their families. And the pictures of the doors are indeed powerful. Thanks so much. Thank you, Gentle Author, for this poignant, thorough piece. Not numbers, not names even, but people. I appreciate all you do to tell the stories of so many who otherwise would not have a voice. Every time one sees the ages of these young men, it is doubly an outrage that other young men continue to die in conflicts that resolve nothing. Researching this blog is surely a labour of love and a fitting memorial. Thank you so much for sharing this exquisite social history. Brilliantly researched! Juxtaposing the stories of these brave young men with pictures of the doors they walked out of made their tragedy come alive. Thank you for this article, which is deeply moving and so very sad. The aristocrats who started and perpetuated WWI and all the later wars lived out their lives – the poor on both sides of the conflict were sent to slaughter each other. Well done Vicky Stewart, a very moving collection of stories. The act of remembrance seems especially poignant this year. Is it because after enjoying many years of peace and prosperity we seem to entering an era of uncertainty and dissolving alliances? Have we learned nothing? Thank you for another wonderful piece. I wonder if you could let me know the map that you have used to illustrate the residences of all these lost souls. It shows a PH that I am researching that I haven’t found in many other sources. I know it’s probably too late now but I have further information on Ernest Edward Dench who was my great uncle on my mother’s side. He was an only son and had three sisters one of whom was sent to prison for harbouring a deserter.It is also believed he was married to a gypsie but I have no way of proving this now. I have visited he last resting place in France. He is buried with both Allied and German soldiers.